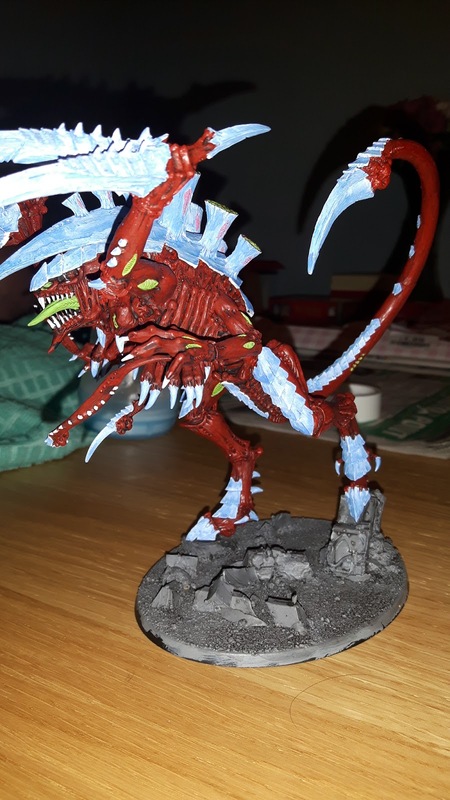 So, a couple of Christmasses ago, I was lucky enough to receive a Tyranid Dimachaeron from Forgeworld. It's one of my favourite Tyranid models and enormous to boot! The scale of the model made it a bit intimidating to paint though and it's languished in storage for far too long. Anyway, on a bit of a whim (because that's how hobby stuff happens) I decided to paint it! 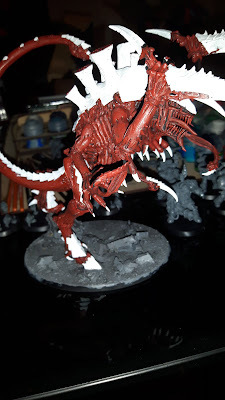 I'll be following my usual Tyranid paint scheme so that he fits in with the rest of my steadily growing force. Part way through paint - base coats nearly done! Whether he'll see any more action on the tabletop is debatable because these things are just so powerful! I manage more than my fair share of wins with my Tyranids already, so adding a killing machine like this might start costing me friends! Found this exceptionally difficult to photograph. Over the past week or so I've stormed on with the painting and really made good progress. Unfortunately, things have slowed down over the last few days, but he's so close to complete I simply have to push on and get him over the line. Current photo - Just details to finish and the base to tidy up. 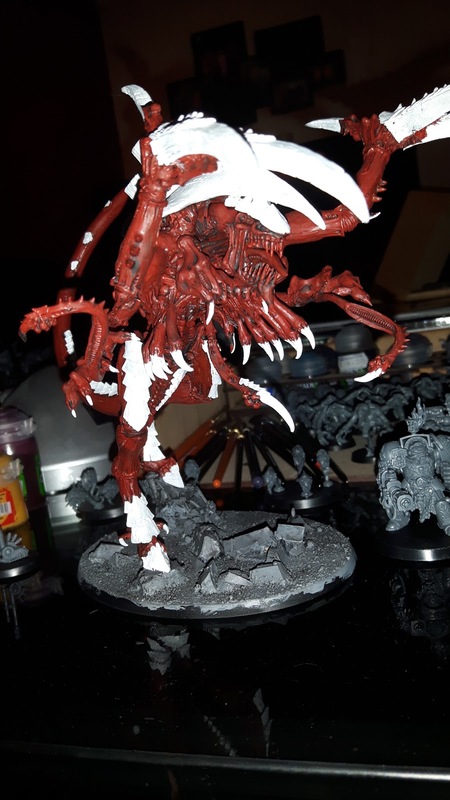 Sadly though, I seem to be coming down with a bad case of Victory is Vengeance (Horus Heresy book 3 - Massacre) so the itch to paint some more Night Lords is coming on strong! Will the next update be the completed Dimachaeron? Or will the Night Lords Terminators pip him to the post (pun intended). I for one am on tenterhooks!